It’s that time of year again when all the big companies toot their horn around how their service made an impact over the past year. 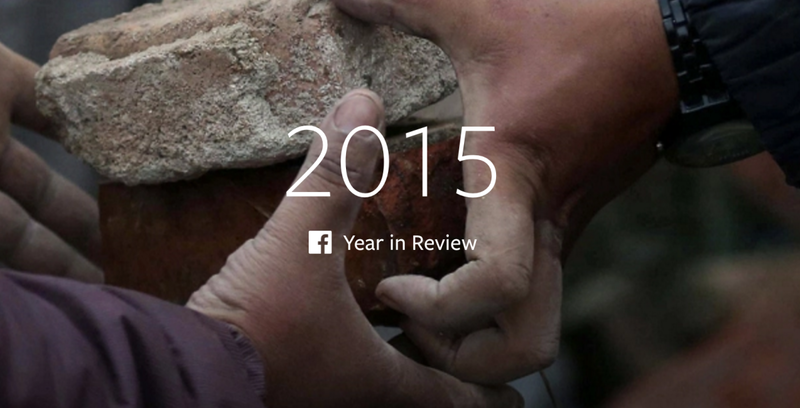 Year in Review by Facebook explores the most discussed items over the year with the US Presidential Election coming in first, followed by the November 13 Paris attacks and the Syrian civil war. The site also breaks down other categories, such as entertainer, so you can see who created the most chatter on Facebook. Ed Sheeran edged out Taylor Swift for the top spot, but the list there also stars Caitlyn Jenner, the most famous openly transgender person in the world, in eighth place. The most discussed movie was, naturally, Star Wars: The Force Awakens, and top TV show was Game of Thrones. Facebook’s mini-site also breaks down the most popular places people visited in many regions such as the United Kingdom and India, as well as other popular topics specifically shared in those places. The top topics show that Facebook’s push into the news, along with it focusing on more video and media content in the Newsfeed, has paid off and people are clearly discussing current events more on the service than in the past. That said, many questions remain about how Facebook can stay impartial and encourage good journalism, as the algorithm behind Newsfeed continues to change and often favors quick-hit content over more serious topics.